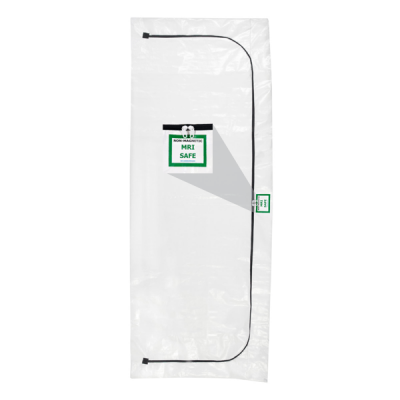 Unique optically clear interior vinyl panel allows viewing the remains contained in the bag with minimal exposure risk to personnel. 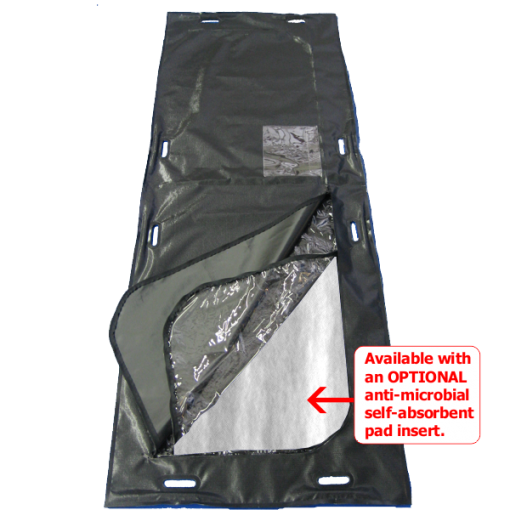 Secured inner panel also allows for examination of remains while maintaining “Chain of Custody” integrity using our serialized tamper resistant zipper pull seals, BBID-KIT or our new Disaster ID Kit. 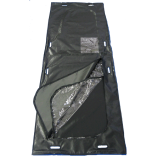 Pouch is constructed with scrim supported, impervious and abrasion resistant 18 MIL vinyl material making it a much stronger and more durable product than the unsupported vinyl material used by our “overseas” competition. 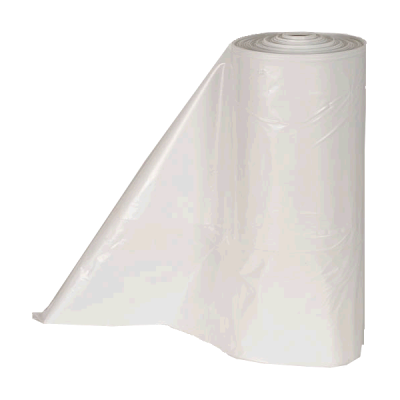 All seams are 100% RF heat sealed to eliminate any possible leakage. Designed for today's “high-risk” bio-hazard exposures (Complies with OSHA Reg. 3130 – Universal Precautions). Both panels are secured with envelope style heavy-duty zippers with dual zipper pulls for easy access. Eight (8) padded handles RF welded directly into and are integral to the bag material for comfortable handling during transport. 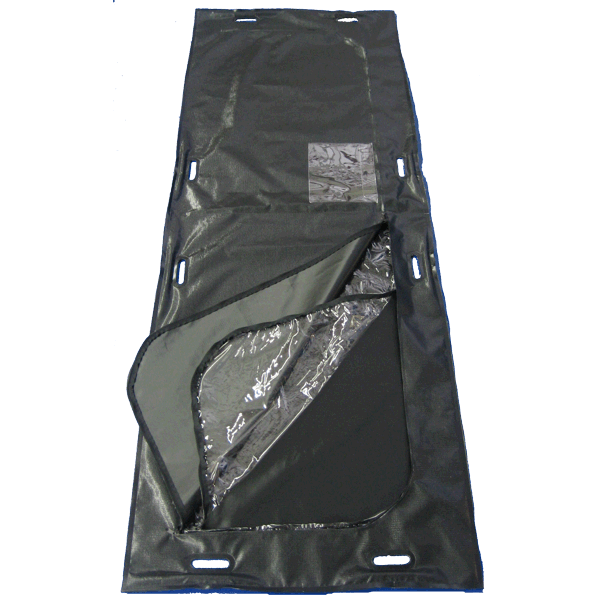 This eliminates the exterior sewn or riveted “webbing” style handles used on traditional transport body bags. 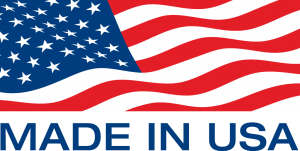 Avoids webbing “tear-out” or failure during rough handling, while maintaining the fluid tight integrity of the pouch. 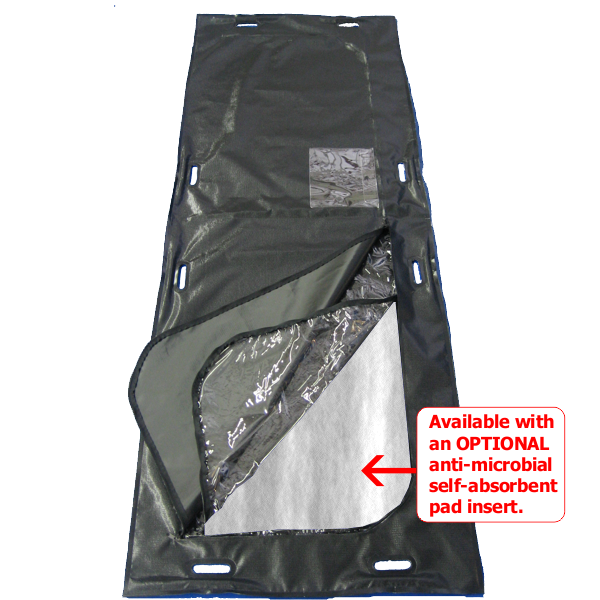 Each BioVu ™ pouch is provided with a 9 x 12″ clear pouch for documents sealed to the outside or inside of the outer panel. Static Lift Tested to 800 LB Capacity. 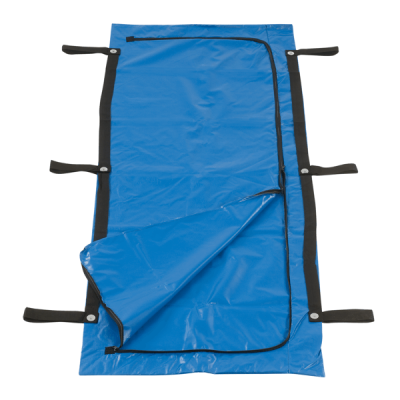 May be lifted by helicopter or crane using standard webbing slings. Available without the BioVu ™ Clear Isolation Panel.